Low levels of Vitamin D, or Vitamin D deficiency in men may be linked to an aggressive form of prostate cancer, according to a new study recently published in the Journal of Clinical Oncology. The finding is important because it can offer guidance to men and their doctors who may be considering active surveillance, in which they monitor the progression of the cancer rather than remove the prostate. Previous studies showing an association between vitamin D levels and aggressive prostate cancer were based on blood drawn well before treatment. The new Northwestern study provides a more direct correlation because it measured vitamin D levels within a couple of months before the tumor was visually identified as aggressive during surgery to remove the prostate (radical prostatectomy). For the study researchers with Northwestern University analyzed the medical records of 190 men whose prostates were removed due to cancer. All the men were around 64-years-old and had a prostatectomy sometime between 2009 and 2014. Of that group, 87 of the 190 men had aggressive prostate cancer. 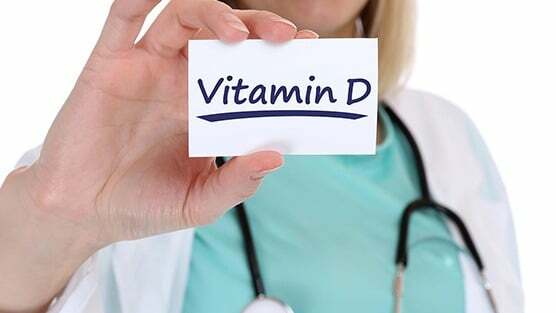 Those with aggressive cancer had a median level of 22.7 nanograms per millilitre of vitamin D, significantly below the normal level of more than 30 nanograms/millilitre. Information from this research has led the scientists to believe a vitamin D deficiency could help predict aggressive prostate cancer before surgery is required. Defined by a high Gleason score, aggressive prostate cancer means the disease has progressed beyond the prostate gland. In addition, prior research conducted by Murphy and his colleagues showed that African American men who lived in low sunlight locations are up to 1½ times more likely to have vitamin D deficiency than Caucasian men. Get out in the sun – When we are exposed to direct sunlight, the body naturally manufactures vitamin D and according to recent study, the best time to get vitamin D is around noon. During this time of the day wavelengths are shorter and are positioned at a more indirect angle. Recommended solar exposure should only be between 10 to 15 minutes. Eat fatty fish – Consuming this type of fish is a good way to prevent a vitamin D deficiency. A 3-ounce of salmon fillet comes with 450 IUs of vitamin D, which is over 50 percent of the daily recommended dietary allowance and is also beneficial to cardiovascular health.